The search giant has finally launched an iOS app for its social network named Orkut. Google announced this on its official Orkut’s blog. The app is compatible with the iPhone, iPad and iPod touch. Surprisingly, the search giant launched the app almost sixteen years after the launch of the social network. 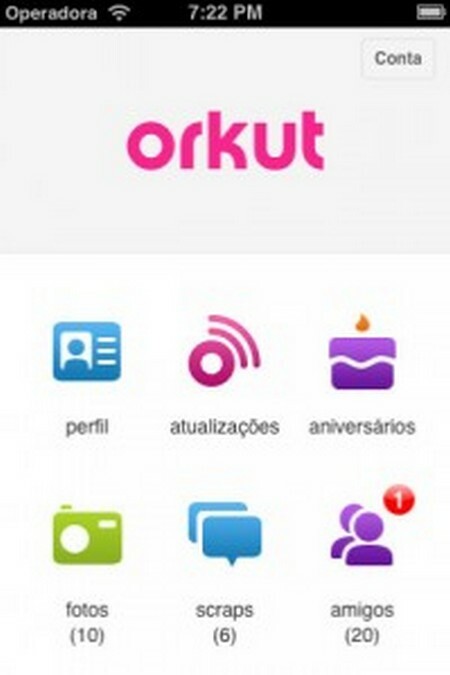 It seems that the company is bit too late in launching the Orkut for iOS, as the social network has already given its way to the social networking giant in Brazil, the only country where it remained leader for the long time. It is not limited to Facebook, as Google+ is also gaining some popularity all over the world, while it has already drawn 4.3 million Brazilian users last month. However, Orkut is still a popular network in Brazil with more than 34 million users, despite the fact that many users have shifted to other social networks. The company has not yet shown any signs to giving up on the Orkut and being a popular choice of people in Brazil, it is managed by the Brazilian subsidiary. The local subsidiary is not encouraging users to move to the Google+, as Orkut has received a complete makeover along with many additional features and improvements, clearly showing no signs from the company to push it out of the scene. Also, the release of the Orkut for iOS is another example from the social giant that it still has faith in its aging social network. With app installed on their devices, users will now able to update their status, contact their friends and also able to receive birthday reminders straight on their iOS devices. It won’t be easy for the Google to convince users Apple users to access Orkut through their devices, when we compare it with other popular social networks like Facebook, Twitter, etc. Unfortunately, Google has not included the most vital element of the social network, Communities, in the recently released Orkut for iOS app. But what we assume that the feature will be included in the next version of the application. Something similar was done with the Orkut for Android app which was released back in December. The access to Communities was included earlier this month. However, such a strategy from the search giant seems to be a little less to its potential. Launching an application with limited features will certainly meet with a lot of criticism as far as the potential and position of the Google in the world of web is concerned.